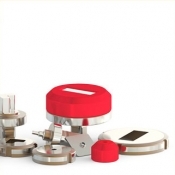 The new series of Green, White, Red punch holders offers great compatibility with the various types of tools currently available on the market. 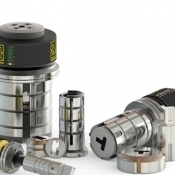 An advantageous solution for any type of punching requirement. All this together with the widely recognized quality, which distinguishes our products. 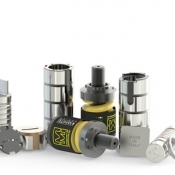 Quick delivery service for punches and dies: high quality tools for high performance, both for stainless steel and all other commonly used materials. As well as the Thick turret system, Rainer punching machines can also be set up for a metric system of our production. 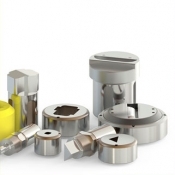 For these type of tools, Matrix offers a full range for shearing with punch holders, punches, dies and strippers, as well as for deformation with the Jetform line with interchangeable inserts. A range of tools destined for use on a wide number of punching machines. The products on offer include punches, dies and strippers up to H station, perfectly compatible with Wiedemann model 114. Given the vast range of products available, our catalogue shows only themain tools we manufacture. Many other types of tools are also available: for any information needed, please contact our sales department. For some of the more commonly used models with round-figure measurements, immediate delivery is possible from warehouse stock. 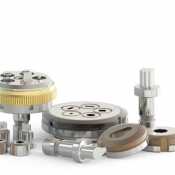 The tools in our MultiMATRIX line allow the best axial stability. We were the first to manufacture long-guide tools on multitool for thick turrets. 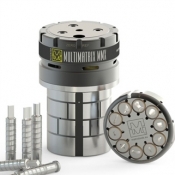 MultiMT line tools are specifically destined for the most common multitool, manufactured with the high quality standard typical of Matrix products. Tool sharpening often presents a problem, especially in case of inclined or double inclined tools, as in the case of whisper sharpening. Matrix can get around the problem enabling quick and easy sharpening of the tool through the use of surface grinder or sharpening machines. 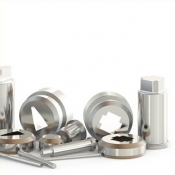 We can provide adaptors for the most common types of tools. 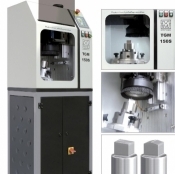 A wide range of tools are available for these specific punching machines. From the most common Standard Line, to ITS, a high performance system with cost effective tool management. Furthermore we offer the MultiTRUMPF line, which makes tool handling even more adaptable, available with 5 and 10 position models. Deformation is a process which permits the plastic modification of the planarity of the sheet metal, and the tools in our Jetform line allow this work to be carried out, allowing an even more efficient use of a punching machine. 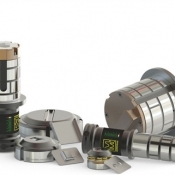 Our range includes 2 types of insert holders, Green and White, in order to better respond to clients’ requirements. 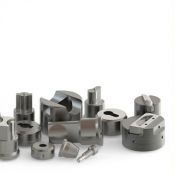 Matrix manufactures and produces metal sheet punching and forming tools. Matrix has been finding innovative and customized solutions for more than 35 years, in order to solve the most demanding challenges together with the customer. Matrix tools are used on different machines as АМАDA, LVD, BYSTRONIC; GASPARINI; LVD; TRUMPF; BOSCHERT; HACO; PRIMA-POWER; EUROMAC and others. Matrix tools are designed for particularly fast changeover and setup. Patented system of tools’ change allows quickly and easily configure the tool, reducing downtime possibility and maintenance costs. We offer very competitive prices, fast delivery times and customer oriented service. We provide delivery under DAT (Incoterms) conditions, as well as preparation and formalization of all the customs’ documents, for all CIS countries– Russia, Belarus, Uzbekistan, Azerbaijan, Armenia, Kyrgyzstan, Moldova, Tajikistan and other. Order your personalized business gifts and corporate promotional gifts. © ADVagency 2016. All rights reserved.